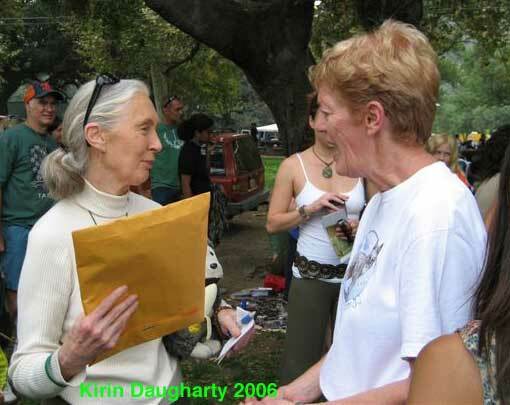 President Pat Meyer presents a Friends of the Island Fox t-shirt to Jane Goodall, Ph.D., DBE (Founder of the Jane Goodall Institute and UN Messenger of Peace) at the Roots & Shoots 4th Annual Peace Day. 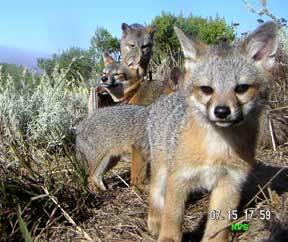 Friends of the Island Fox, Inc. has reached its 18-month milestone as a nonprofit organization working for the conservation of the island fox on California’s Channel Islands. 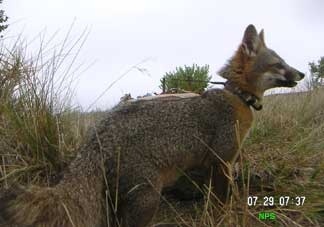 Donated funding for 10 fox radio collars to the Channel Islands National Park so 10 foxes could be returned to the wild. 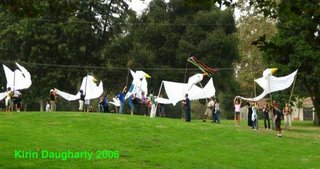 Provided educational programs to schools, colleges and community groups. Established an island fox education and conservation website. Initiated the “Fox Ambassador School” program to establish schools in Ventura, Los Angeles, and Santa Barbara Counties as conservation friends raising funds and public awareness about the fox in their communities. Catalina Island Conservancy’s Earth Day celebration and the opening of the Nature Center at Avalon Canyon. As we meet people in the community, we are discovering approximately 30% do not know there are islands off California, let alone island foxes. There is much to be done introducing Californians to our local natural treasures. You can’t help save an endangered species or its habitat if you don’t know it exists. How can you help the endangered island fox? Tell your friends, family, and neighbors about the island fox and its story. Make sure your pets are vaccinated and not allowed to run free in wild areas. Support measures to restore island habitat. Donate time, talent, or funds to Friends of the Island Fox and our efforts to support education, research and conservation measures to ensure the island fox’s survival.